Blogs Are Dead! In The Guardian So It Must Be True…. Two weeks in a Pembrokeshire cottage was the perfect refresher but with no internet or the prospect of a decent flat white with beans from a south-facing slope anywhere, my metrosexuality was at a low ebb. Naturally I turned straight to the Guardian website once home, only to be greeted with the sobering news that in my absence, blogs and blogging are dead. That’s the pressure of the modern media – a fortnight out of the loop and you’re history. No 4g and you’re nowhere. So that’s me put firmly in my place. Hardly worth hitting the keyboard for a new season and the previous five relegated to the deleted sidebar widget of history. But wait. Turns out this only refers to young people, because that’s how far history goes back these days. “Back in 2004…” sighs the author wistfully. Anything beyond that is as far as social media goes, the cyber-equivalent of the Neolithic era. Apparently I should be using, well, sites that I’ve never heard of. Well I’m here to tell you that this swinging hepcat is going to carry on and Tottenham On My Mind will be exactly the same. Words. Some pics. More words. About Spurs. And football. Not even going to change the design. The font is clear and that’s all that words need. Blogging is the best format for what I want to do, to be a single consistent voice expressing what it means for me to support Tottenham Hotspur. Blogs that survive are, says the Guardian, mostly “entrepreneurial”, i.e. they have been monetised and are kept going to bring in income. This one isn’t. 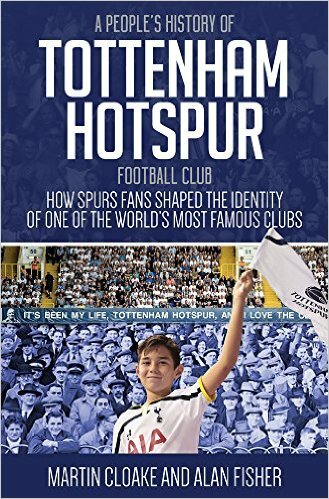 No big deal, but I write about Spurs because I want to. Join in. Comment. That’s the point of blogs like this one. A viewpoint you can rub up against, relate to what you think. Because, and this insight will shake you to your core, all supporters are different even if we support the same team. No need to be rude, play the words not the woman or man. But talk. About Spurs. It’s great. Tottenham On My Mind doesn’t have a USP (Unique Selling Point, jargonbusters! ), but because I am in my late fifties, it does bring some sense of perspective. This is lousy in many respects. Over the summer, for example, I find little to write about, hence my summer break. ITK is fun, I read it. Great for hits too – always makes me smile that one of my articles with the biggest views began in the headline “No ITK…”, but obviously the demand for info is so great, people felt compelled to look, such is the power of ITK. Let’s wait until something happens. Same with friendlies. I’m pleased things seem to have gone well in the US but never make any judgements on the basis of a friendly match. Anyhow, I needed a break after last season. Took a lot out of me. Months of neglect and drift, leaving far to much time to ponder on how our chairman abrogated his responsibility as a leader and decision-maker and how it was possible to dissipate the impetus both of previous seasons and £100m worth of transfers. Supporters were stunned, angry, disillusioned and alienated to an extent that I have never before known in 50 years of support. It was about something more than just results, it was a shock that people inside the club could treat it with such wanton negligence. If you want to kick the ITK habit, read Michael Calvin’s book about scouts and scouting, The Nowhere Men. Basically, every club knows every player, from ages 8 to 38. They have targets not a target, prioritised lists of players who fit their needs. So to say ‘Spurs are interested in Joe Schmoe from Kokomo’ means something and nothing. They may well be interested in him but at any one time they are ‘interested’ to a greater or lesser extent in hundreds of footballers. Doesn’t mean they are going to buy them. ‘Interested’ therefore bears little relation to his prospect of pulling on the shirt. A virtually worthless term in respect of transfers. At Spurs, probably only a very few people know if a firm offer has been placed for a player and he’s going to come. Even the manager doesn’t always know. No ads but personal recommendations: Calvin’s book is excellent, a highly readable insight into the slog and grind of assessing talent. He draws you right into the scout’s world, leaving you to conclude that amidst the hype and hysteria of the Premier League and the media, scouts are the only true football men left, people whose love and feel for the game will never disappear. They certainly don’t do it for the money. Welcome to Mauricio Pochettino. Not actively blogging at the time of his arrival has allowed a degree of perspective on his appointment too. I think he is right for Spurs in terms of where we are at the moment. He has clear, focussed ideas about how his team should be set up and perform on the field. He likes his teams to press, often high up the pitch, to get the ball forward quickly and to use space with thought and precision. Saints were excellent in the channels and the gaps between back four and midfield, precisely the areas where Spurs were woefully deficient. Tottenham have to graft their way to glory. He’s also a reminder of our status and where we stand as the season is about to begin. He’s not a big name and the fact is, we could not attract the big names. The same may well be the case when it comes to players. We’ve missed our chance. Liverpool began last season as competitors, now they have moved onwards and upwards. If Spurs and Liverpool are both going hard for a player, he’ll pick them, every time, in the same way Rodgers opted for Anfield not White Hart Lane two seasons ago. Ars***l are attracting world-class talent. Excruciating to watch but we have to set to work to get ourselves to that status rather than be intimidated by it. Last season is over but we can’t escape the failures. These are constant reminders of how we failed to move on. So let’s make the best of what we have and enjoy it. We will get good players not stars, and that may be a good thing. Men who want to play for a manager who will get the best from them, a team that plays together and works damn hard in the process. The World Cup has shown us that purposeful workrate is the foundation for any success and if his reputation counts for anything, that’s what Pochettino brings. It may take a while, so we have to be patient. 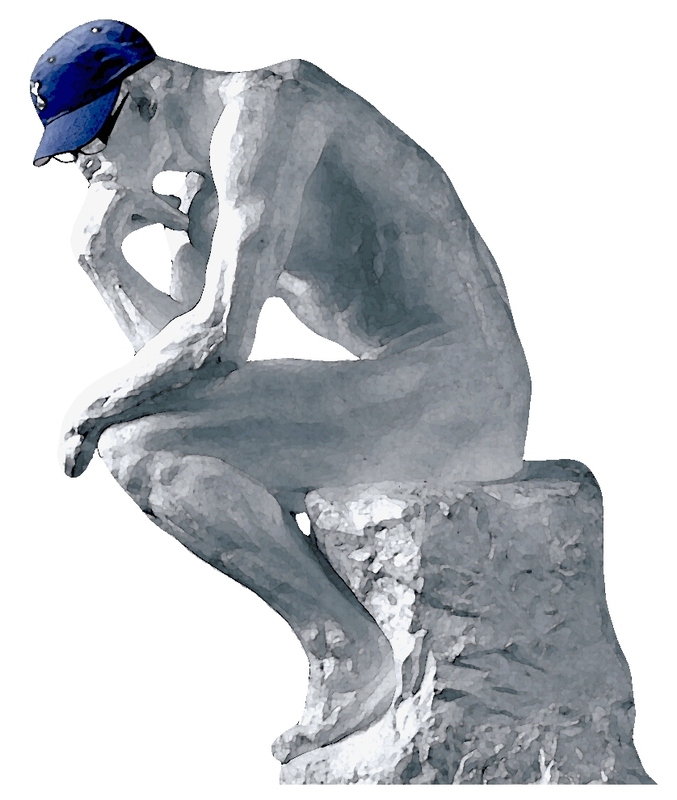 I know – fans have had to be patient for a long, long time, but we are where we are, so let’s get on with it. The Argentinian will bring renewed energy and purpose to a club that has been drifting rudderless but let’s not get too carried away with the contemporary obsession with managers. The Wit and Wisdom of Alf Ramsey would be a surefire cert for the shortest book of the year, any year, despite his status as world cup winning coach. The former Spurs man spoke infrequently. When he did, you could imagine that just out of shot, an FA official was holding a pistol pointed to his head, such was his reluctance. Ramsey looked like a Thunderbirds puppet, wooden features, bushy eyebrows and rigid upper lip rising and falling onto a stiff jaw. This Essex boy affected an upperclass accent that sounded like the most false telephone voice you have ever heard. Yet this short sentence is wise and remains true today, even in a very different culture of celebrity coaches. “Managers get too much praise when things go well and too much criticism when things go badly.” Managers are important but players have to deliver. In a sense managers release footballers to be the best they can be, to get them in the right place at the right time, then they can do their stuff. Resist the cult of the individual. While Poch is a man with a plan, we don’t fully know the extent to which the resources at his disposal defined Southampton’s play. He did well to bring on a talented group of youngsters and Spurs have promise waiting to be fulfilled with Lamela, Bentaleb, Carroll and Kane plus Ryan Mason, forgotten out on loan but rehabilitated on the US tour. However, at Saints he had little alternative. Our budget for salaries and fees is much higher so he has more options. Saints fans say he was better going forward than in defence and there are strong signs he rightly wants to strengthen at the back. Yet despite the transfer noise, our prospects rest on what the Argentinian makes of our existing squad. Lloris re-signing is a major boost even though the contract is in large part insurance against his departure at the end of the season. He’s a role model in a squad that’s short of leadership on the field – committed and able. No coincidence that he was able to play his best football at the end of last term, focussed and determined while all around was crumbling. A similarly dedicated Vertonghen would be welcome, ‘welcome back’ perhaps better because he disappeared for half a season. If he means it, keep him but get rid if his mind is elsewhere. Sandro and Kaboul are key men potentially, powerful and alert but only the club know if they are fully fit. The interest in midfielders, an area where we are well-stocked, could indicate that Poch doesn’t like what he sees, in which case the able but slow Capoue could join one or two wide men on the way out. Pochettino’s high energy approach will surely be a shock to Chadli’s system. Dembele I like a lot but he needs to be played further forward. His habit of holding on to the ball will have to go, or he will. And we have to talk about Paulinho. A shadow of the player we saw in the Confederations Cup, he played a full part in Brazil’s downfall. Personally I’d give him two months complete rest – come back in September and we’ll see if we have a player. He’s exhausted. He fits the Pochettino way but If he’s not keen on England, sell without hesitation. Soldado could well stay and profit from Eriksen’s rise to prominence. Surely the Dane will be this team’s key figure. It could also be Holtby’s chance to establish himself. And in the end, there’s Levy. Always Levy. He’s keen to change managers but back them in the transfer market – not so much. The feeling lingers that Pochettino was the perfect Levy man less for his tactical nous and more because he won’t be too demanding, too expensive or rock the boat. Anyway, Dan’s watching the pennies, what with a new stadium to pay for. These days chairmen authorise a BACs transfer from the Cayman Islands rather than put their hand in their pocket or pull out their chequebook. Whatever it takes, he has to listen to his manager and and put his money where his mouth isn’t. My blog may not be monetised but if I had sponsored that sentence in the last six years, I’d be able to afford my season ticket. But I’ve paid for it anyway, because as 2014-5 nears, whatever the problems and uncertainty, I look forward to it as much as ever. Join me why not. Good to have the blog back Alan. Wise words from the off. I’ve studiously avoided trying to watch any pre season games as I needed a break from it all after last season and the World Cup, but I’m looking forward to Spurs in the new season. Let’s hope it’s an enjoyable one. Good to hear you’re ready for another season. I’ve avoided the friendlies too, feel better for the break. Now I’m in the mood. Good to know that at 36 I still have a chance of being scouted and pulling on the famous Lilywhite shirt. Long live the blog. The modern domain of intelligent and considered thought. Tried Twitter once. Couldn’t understand it at first and then when I could, couldn’t stand the sound-biting! To paraphrase Neil Young – Keep on Blogging in The Free World! There’s hope for you yet, it’s too soon to hang up your boots. Interesting comparison with twitter. Tottenham On My Mind has always been like this and is not the result of any plan, this is how it comes out. But I suppose the commentary/opinion style is becoming rarer. Not better or worse, just different. Personally I enjoy the variety of sites out there. And I’m going for the live version on Weld, if that’s Ok…. The Guardian’s sport is OK. The online version does seem to have an increasing number of pieces like the one I quoted, and to be fair to the author it’s slightly tongue in cheek, where they pose a Mail style ‘thing’ and discuss it intently. Except it may not be a thing at all. Great that your blog’s back. I’m looking forward to the new season with too much hope as usual. The only point I’d disagree on is that I think Pochettino likes Capoue. You’re welcome, Re Capoue, great if he does. Capoue to me is a natural DM – finds himself in the right positions, fills space, passes it on quickly. He has a tendency to lumber, hence my query as to whether he fits. Look forward to seeing how it goes with him. I think he wants to play Capoue and Scheniderlin (if he gets him). Capoue would then drop to cover the defence and Schneiderlin would provide the drive and energy. Will be interesting to see what happens. Excellent summing up. I for one think we will have a good season fighting Liverpool for fifth is where we are at and I think that’s not such a bad thing. We are not ready for top four. But in time and a new stadium extra income things are looking up. another season. new hope. Poch, maybe man. hope to say “wow” man soon. Best bit of spurs blogging I’ve read for ages. COYS! Triffic Alan, welcome back. Could compliment you by saying you should be in “Fleet St”, but you write and think far too well for that. My thoughts (and hopes) entirely on Poch. Thanks Ed. Interesting that many broadly agree with my view on Pochettino. Maybe it is the lull before the storm, but just as many unimpressed when he was appointed so I expected more complaints. Nice to see a Spurs blogger with a healthy dose of common sense. Notwithstanding your early demise as a blogger according to the Guardian, welcome back from your well deserved vacation and I for one will seek out your blogs as the season unfolds. COYS! Thanks man. Funnily enough, after I wrote this, came across another piece saying the same thing only in relation to football blogs. Seems I really am a dinosaur. Its great you are back Alan! I am excited about the future.Im sure most of us have been hoping for some new faces at Tottenham but for me the nest new face has been Poch. Im not getting overly excited. Been there done that.watched as we went from steady tip tap passing and a huge midfield and faith that we built from the middle to stagnation by the time we got to the final third AND NO ANSWER FOR IT. But now weith Poch I have a sense that he doesnt just have a blueprint in his head.Doesnt have an interface to put on an iffy group,we have an involved manager.Someone who is willing to get down and dirty.Someone who doesnt offer us fallacies in terms of how we are doing.Someone who is constantly in development and devloping. Its refreshing and its invigorating. There is a seriousness about what we are doing but not a neurotic need to win or stories about how its all going to plan.Its more about developing. I hope we deveop all season. Where it falls it falls. I dont count iffy penalty wins or being saved by our saviour of early last season Hugo Lloris. I want to see a flow.Some substance generally and especially at the back. Just Ben Davies has offered the feeling of the future.Steady,Strong,Determined and serious about his business. Building really. Not with some cuckamame blueprint in your head and a bunch of stories of what you could have had. Good Luck Poch.Im with you all the way this season. Hey Ron, good to hear from you. I’m with all of that, especially the bit about stories of what you could have had. No time for that, as you say. First time here. Good read. I look forward to the season. We will lose a few games, for sure. So be it. I am optimistic we will try to play each game with a purpose. Perhaps more so than under any of our previous 4 managers. Thanks. For better or worse, this piece is pretty much how the blog is so at least you know what to expect! Honesty also part of the blog so agree with your comments but I am sufficiently self-aware to know I said the same thing about AVB. Think Pochettino has more about him, though. Glad to see you back. At least we have a credible manager and might end up with some decent players. My other team Benfica has been dismantled rather like Southampton. COYS! Couldn’t do this without you, Pete. Got to feel for those Saints fans, eh, and the mighty benfica too…. I must be getting bored with information superhighway as it’s 30 hours since you posted your return, but it’s great to see you’re back and still talking a lot of sense. trust Pembrokeshire refreshed you like it did me a few weeks ago – magic place! Strange thing is: although I’m hopeful that 14-15 will witness a change in our team’s fortunes, I’m reluctant to expect too much. Years of wasted overconfidence, I suppose. But… But, just maybe – this time…. ooh, ooh, nurse! It’s medication time!! Never lose the optimism, man – defy reality! See you around these here parts over the next 9 months. HI Alan, good to have you back. Adebayor was conspicuous in his absence in your summation of the squad for the year ahead. Understandably so, given his enraging habit off clocking off for seasons at a time (though I may be slightly harsh on him). How do you think things will pan out on that front? Re the guardian, I enjoy their football weekly podcast but re their football opinion pieces (if that’s what they’re called? ), increasingly I get the sense that they have joined the race to meet the insatiable demand for football related content, sometimes to the detriment of the actual content. Here’s to Tottenham playing to their potential this season. Here’s to potential indeed. Re Adebayor, I like him a lot when he bothers and he was good in the final third of last season, so credit for that, but as I wrote a few months back, the only thing you can rely on with him is that you can’t rely on him. Soldado is the puzzle – I’m convinced there is a good player waiting to be unlocked, it will be Pochettino’s biggest test. I’m a Tottenham fan in the States. How that happened is confusing even to me, but there it is. If soccer is talked about here, it’s guaranteed to be about the Manchester United, Arsenal, Barcelona, Real Madrid, and maybe Chelsea and Liverpool–and, of course (rightfully) the USMNT. Tottenham may as well be a third-division club in Turkey. This blog and it’s relatively longform, thoughtful pieces are a godsend. I will never pretend to be immersed in the culture of the club, I’ve never been to North London, never trekked to Whitehart Lane, but I read up on, watch, and support Spurs the best way a guy in San Francisco can (sooo many Gooners here). This blog plays a key role in that, and so thanks. Blogs are dead, long live the blog. e (if I may call you e), that is one hell of a compliment. Much appreciated and look forward to your company this season. Alan, the compliments are well deserved. Keep doing what you do. e… by gum Lad! another spurs fan here! I live in Marin at Green Gulch Farm Zen Center rarely get to SF to watch a game however I do know that the S.F. Official Supporters Club meets to watch games in the Height at Danny Coyles Bar. Good crowd mostly, when I been there (2) expats. Mal, that is excellent knowledge. I’ve tried several times in past years to see if there was a supporters club or Spurs friendly bar, but to no avail. I usually go to Kezar Pub or Mad Dog in the Fog in the Haight, or the bars closer to my apartment in the Mission. Knowing this about Danny Coyles changes everything. Thanks! Alan, May i also pass on my appreciation for your work etc. Next Season ?? I still seem to be carried away with wildly delusional thoughts about a possible Top 4 finish however to combat those I am also certain that I’ll be here in Feb come what may. ( that is if I am still here, so to speak). Back in uk sept for 3 weeks going to WBA hopefully to see a resounding win to take us top, however just walking around the ground and going into Jack’s cafe for a cuppa egg and chips before the game brings all my childhood memories and having my son and Grandson with me still feels like the “right thing’ to do. Although I sometimes wonder about the suffering I’ve opened them up for. COYS!! !